All of autumn’s bounty is here at this chilly October Pepper Place (though many of the usual producers aren’t). 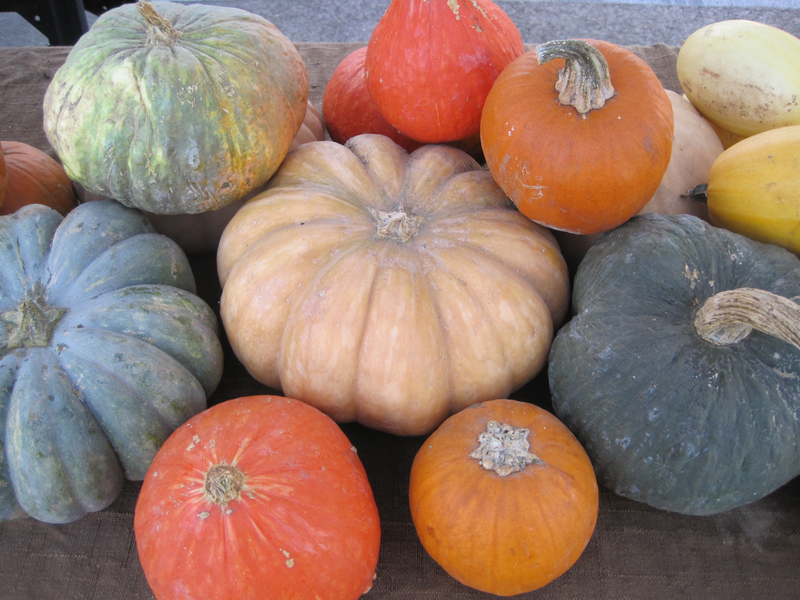 Apples, pumpkins and squash finally get their moment in the sun. Only John Wesson and Petals from the Past are offering muscadine grapes. Jones Valley Urban Farm has a giant hybrid pumpkin/squash that grew out of their compost pile, and there are some prize-winning specimens from last month’s Cullman County Fair. This is the second to last Pepper Place market of the season, so please come on down and support the farmers (and your stomach). ← BottleTree to Show Food Inc.